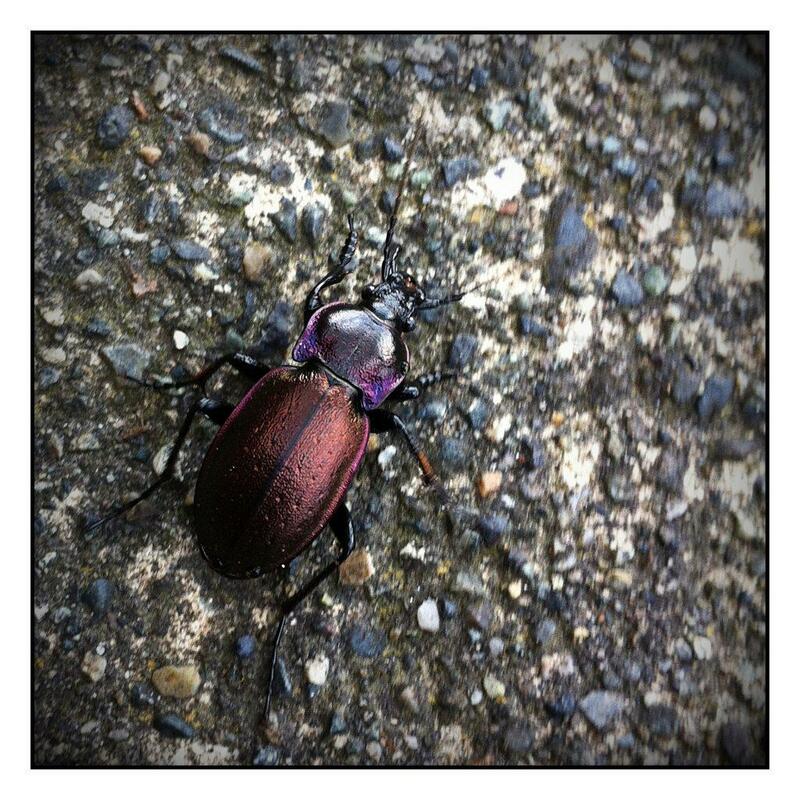 As I was walking along today I noticed the most amazingly coloured beetle crossing my path. The back half looked like it was made of copper, while the front half was purple iridescent. My buddy tried stepping on it for no apparent reason (what is he, 12?!?!?) but I quickly blocked his chance by taking out my iPhone and started stalking the little bug. It was hard to get the shot because it moved quickly and randomly, and the iPhone ain't great for that, but I think I got a reasonably sharp image. Zoom in and check it out. I must have looked insane to drivers passing by, as this incident took place just off a busy road. I safely helped it along into the grass while keeping my insect killing buddy far away........if anyone knows the name of this little guy, let me know by leaving a comment. Any amateur entomologists (aka Bug Scientist)? Ride On Vancouver: Wooden Bike Accessories! Don't Park under a Japanese Cherry Blossom! Ride on Vancouver: Art or Transportation? Ride on Vancouver: It's All About Colours!